Ö succinctly stands for Oerlikon – the district with which Hotel Sternen Oerlikon has been closely associated since 1897. At Restaurant & Bar Ö we serve classic dishes with a modern twist and regional specialities. We use high quality, seasonal products and aim to impress our guests with a constantly changing menu, special promotions, culinary events and our warm and charming service. We are proud to serve over 20 gins and matching tonics at our bar and in the 'Salon du Cigare' smoking lounge, locals meet with guests from all over the world for an aperitif or nightcap after an eventful day. Visit now our Restaurant and Bar in Zürich Oerlikon! Our Restaurant Ö is closed over Easter from Friday, 19 April 2019 until Monday, 22 April 2019. We are very happy to welcome you back on Tuesday, 23 April 2019 and recommend in the meantime our sister Hotel Krone Unterstrass with its wonderful restaurant "differente". Enjoy classic dishes with a modern twist and regional specialties. Our special menu changes every two weeks, daily lunch specials and food events guarantee a lot of variety for our regular guests. 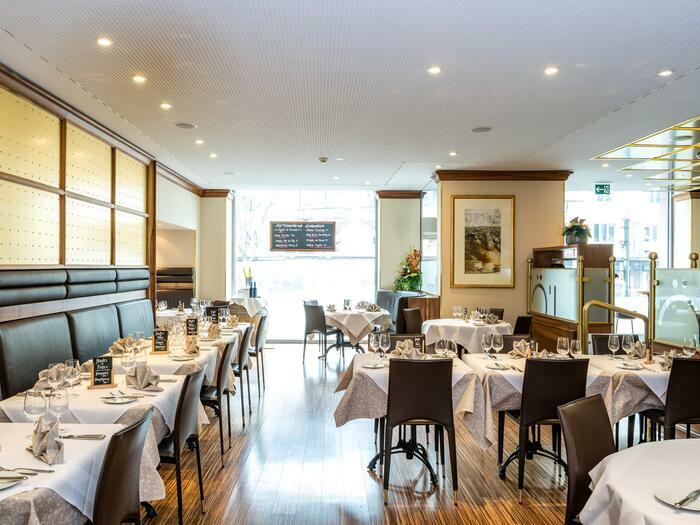 Our restaurant offers an elegant atmosphere, you will not find anywhere in Zurich Oerlikon. Our Salon du Cigare is an insider tip in Zurich Oerlikon. 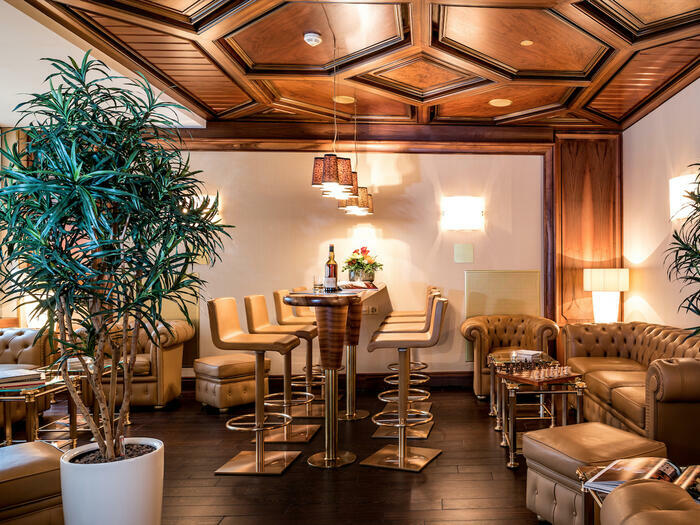 Connoisseur visit us regularly to enjoy a cigar and nightcap in our comfortable leather chairs. We serve over 20 gins with matching tonics and other high quality spirits and wine in our cigar lounge and bar.